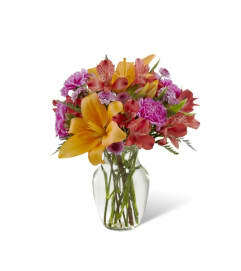 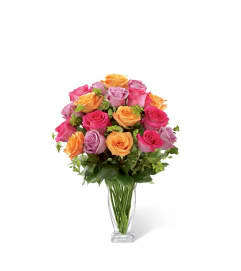 The FTD® A Fresh Take™ Bouquet has a warm and inviting look that will truly wow your special recipient! Orange LA Hybrid Lilies are set to capture their every attention when beautifully arranged with the sweetness of pink bi-colored roses, all gorgeously accented with lush greens. 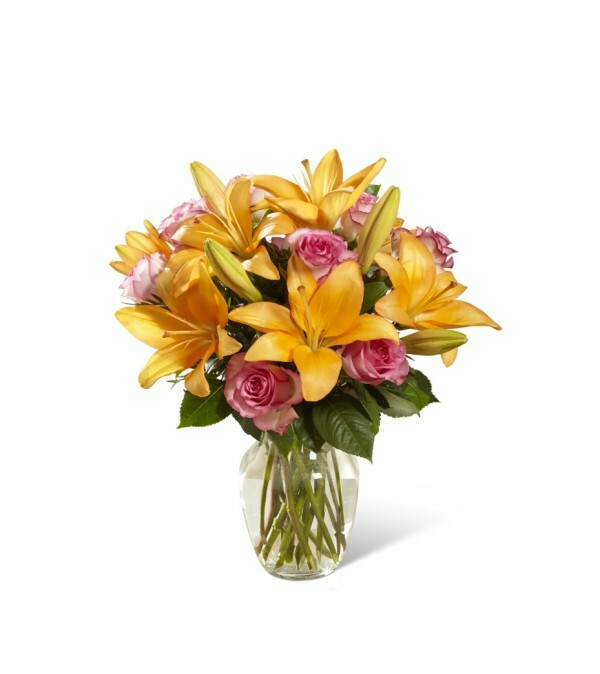 Presented in a clear glass vase, this sunlit fresh flower arrangement is a wonderful way to send your birthday, thank you, or get well wishes to friends and family across the miles.